New smart technology from Samsung could be the backbone of a security system for your business all accessed from a mobile device. It’s called the Samsung “SmartThings Hub” version 2.0, and can be described as the router for your connected devices in your office or home. The hub is part of Samsung’s SmartThings line. It connects to your Internet router and then connects all the smart Internet of Things (IoT) devices and operations you’ve got online. 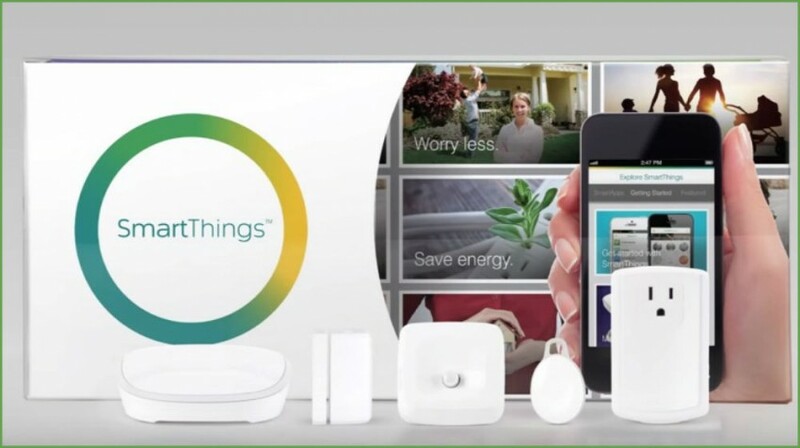 The SmartThings line from Samsung has a host of products currently available with both office and home applications. They include motion sensors, water leak sensors, and smart outlet adapters. These smart IoT connections are all managed through a single streamlined app from Samsung. The app is available for iOS and Android, and so it runs your office or home from your smartphone. One of the highlights of the hub is that it can even deliver video capabilities. This feature allows you to view live streaming or event-based video clip recordings from your smartphone when it is paired with a compatible camera and the free SmartThings app, according to a report from The Verge. As a SmartThings user, you will be able to connect a monitoring camera to the hub and get a live feed on your phone with a section in the app called Smart Home Monitor. If you are not receiving a live feed, the monitor starts recording when it is triggered by an event, such as a motion detector going off. And because it is smart, it starts recording images a few seconds before an incident. If you need to save the recorded video, SmartThings provides a service for $4.99 per month to store the content. The hub is on sale now for $99, but it doesn’t include the camera or other sensors. The low price point of this technology makes it affordable not only for homes, but also for small businesses looking to deploy a monitoring solution that can be accessed from anywhere. One of the benefits of this system is its connection to sensors for motion, smoke, moisture, light, door locks and more. These are features that can easily add up if provided by an outside security company. The hub is the brains of the operation, and you can connect up to 200 smart devices with just one unit. It communicates with different products no matter what type of wireless protocol they use, so there won’t be any compatibility issues. The new version has a Bluetooth 4.0 adapter alongside the WiFi, ZigBee and Z-Wave radios for connecting even more devices. And if there is a power outage, it has a 10-hour battery backup. The Internet of Things is slated to connect 50 billion things by 2020. Each connection will make the device it is connecting smarter, and hopefully make it better at what it does. With so much potential, Samsung has been up and running by introducing a range of products for the connected market.